Sometimes the audiobooks are better. Just as there are people who argue the book is always better than the movie, I’m sure there are people who would argue that a paper copy of a book that you can hold in your hands is better than reading on a Kindle or a Nook or listening to an audiobook. I personally think that it’s awesome that people are reading, no matter which way they “take” their stories. Audiobooks have been a huge blessing in my life; they entertain me on long car rides, distract me from my OCD, help me fall asleep at night, and make mundane things (like driving, cleaning, etc.) worthwhile because I’m engaging my mind. 1. Saving Francesca and Jellicoe Road, both by Melina Marchetta, both read by Rebecca Macauley. Let’s be honest: reading about Aussie schools in an Aussie accent is incredible. 4. The Book Thief by Markus Zusak, read by Alan Corduner. Great voice, awesome German accent! Makes Liesel, Rudy, Max, and the Hubermans come alive as real people living in Nazi Germany. 5. The Last Unicorn written AND read by Peter Beagle. I love hearing the tone and rhythm that were originally intended. Plus, Beagle actually sings the songs! And you get guitar interludes in between chapters. Brilliant. 6. Absolutely everything by David Sedaris. I about DIE laughing when I listen to him read his stories in his own voice! Definitely better and funnier in his voice than on paper! I also have to throw out major props to Jim Dale, who read the whole Harry Potter series and The Night Circus. That man is unreal. I don’t know how he can keep track of so many voices/characters! How about you? 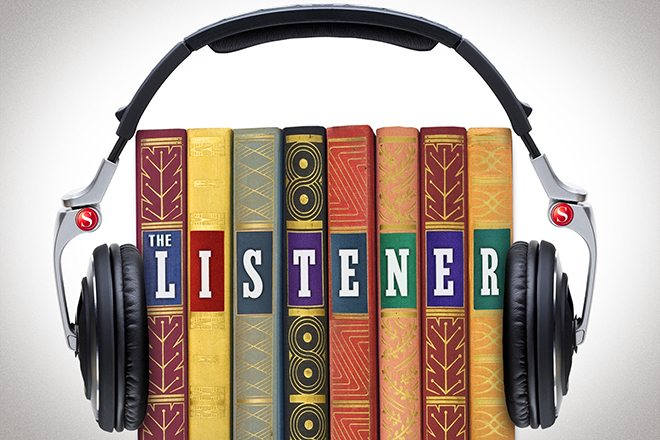 Do you listen to audiobooks? Any audiobooks you prefer over the paper version? This entry was posted in book review, reading and tagged audiobooks, Australian accent, best audiobooks i've ever listened to, i love audiobooks, listen to a book, Melina Marchetta, The Last Unicorn, when the audiobook is better than the paper copy by Jackie Lea Sommers. Bookmark the permalink. So funny that you did a whole post about audiobooks, because I kid you not, I was JUST going to Facebook you and ask which audiobooks you’d recommend! I want to do something different this semester when I commute. Oh totally! These ones are all great … and I own most of them, so if you want to borrow any, let me know, and I’ll bring them to lunch tomorrow! Jackie! I love that I can get great audiobook recommendations from you. Some of these I’ve already listened to. Some of these I now need to re-read on audio, and some of them I need to put on my TBR with a note to listen to them. I found Huck Finn to be much more palatable on audio than in writing for the same reason you recommend listening to A Clockwork Orange and yeah, who does Jim Dale think he is to be so amazing? I did! I love Dan bittner and Emma Galvin! Dan bittner was also cole st. Clair from the shiver books! Oh! I KNEW I had heard him before but I couldn’t figure out where.